Today, I'm bringing you guys a review of two new Maybelline products. The first one is the Fit Me foundation, which has a matte and poreless finish. I was seeing this foundation a lot on my Instagram feed from a lot of different girls so I decided to give it a try myself. Whenever I see the word "matte" I'm already sold lol. I always look for any types of matte finishes because my skin is oily so I don't need a dewy finish. I bought mine at Harmon's for $6.29. 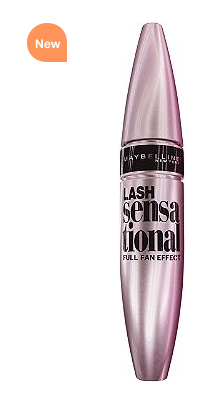 The other Maybelline product I picked up was the lash sensational mascara. I picked that up at Harmon's as well, for 6.99. I'm not big on trying so many different mascaras because once I found my holy grail mascara (The Great Lash by Maybelline as well) I've been using it for years. To this day, I have yet to find something else that comes close to it. However, when I saw the brush style and it was Maybelline brand, I said "what the heck, let's give it try." So let's review these babies! It comes in about 11 different shades, with my color being #330 Toffee Caramel. I used a real technique brush to apply it. When I first applied it, it applied super smooth and buffed in my skin right away. One thing I recommend is to use it in sections on your face instead of your whole face right away because it dries pretty quickly. It seriously goes to work right away. I loved that it dried right away. It felt smooth and very matte. I almost felt like I wasn't wearing anything on my face. It felt super lightweight and breathable. That's perfect for the warmer months, so I will definitely include this one in my spring and summer foundation rotation. Overall, I would recommend this foundation if you're looking for a very lightweight feel, good coverage and a matte finish. I was currently using the Maybelline mousse foundation but this one is my new favorite and I will be be using it more every day. I decided to test this foundation a little further. I took this picture with my iPhone, hence why the quality of the picture looks different. I took this picture 3 1/2 hours after I had first applied it with my full make up on and my face was not greasy. Within 2-3 hours I already have to dab my face with a blotting sheet because my skin gets super oily. I LOVE that, 3 1/2 hours later, it still looked and felt matte. That's a big plus in my book. It comes in 3 different shades: blackest black, brown black, and very black. I chose very black because I personally like dark black lashes. I like that the brush was long and curvy and that really helped me pick up all the lashes in one scoop. In just a few applications my lashes went va va voom. I must say it surely tripled my lashes and they appered thick and full of volume. The only downside is taking it off. It is made with a waterproof formula so it's not as easy to take off as regular mascara. I would wear this one more for a night out versus an everyday one. Maybelline, you guys did good with these two products! They were inexpensive and did it's job. I'm one happy girl. Have any of you guys tried these products? Let me know in the comments below. I love that mascara! I've been using it for a few weeks now and its great! My fav mascara is Mary Kay lash love, great review btw. I am always scared to waste money on a new foundation. I have been using cover girl ready set. I'm scared too but I totally recommend this one for oily skin. I love it. Great review! 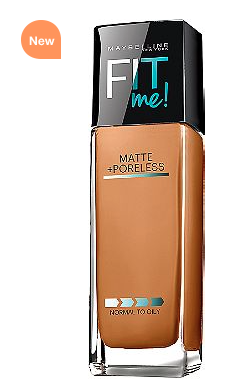 I was also considering trying this foundation out because of the rave reviews. I also have oily skin, so like you, I'm always looking for matte products. Will definitely be checking this one out! Thanks!